The emergency response to Hurricane Sandy and the evolving role of social media in major emergency management will be among the topics discussed at the 2013 Irish CFOA conference. The emergency response to Hurricane Sandy and the evolving role of social media in major emergency management were among the topics discussed at the 2013 Irish CFOA conference. Cork City Fire Department hosted this year’s event, entitled ‘Serving and Protecting Communities - Shaping Future Fire Service Delivery’, at the Silversprings Moran Hotel on May 8-9. The event was officially opened by Fergus O’Dowd from the Irish Parliament's Department of Environment, Community and Local Government. The annual showcase event for Ireland’s Fire and Emergency Services sector, which is supported by Engineers Ireland and the Institute of Fire Engineers, will also feature a Fire Industry and Technology Exhibition. Robert Maynes, Queens Borough Commander with the New York City Fire Department (FDNY) presented his department's paper, while Monika Buscher of Lancaster University discussed the role played by Social Media in supporting emergency professionals and volunteers in mobilising information and resources for an improved disaster response. The Conference keynote speaker was Peter Holland, the UK’s Chief Fire and Rescue Advisor, who will be exploring the future challenges for the Fire Service. Cork FRS CFO Ryan added: "The new reality facing the fire service is that it has to adapt and be competent to meet current and future challenges against a background of budget and service constraints, changing personnel demography, greater scrutiny and wider demands on the service it delivers to the community. Technology is rapidly advancing with information being readily available and expectations are more demanding for an instant solution." 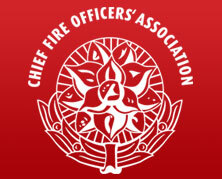 Further details on the Irish Chief Fire Officers Association (CFOA) conference are available from www.corkcityfirebrigade.ie/cfoa2013 or www.cfoa.net.